Video seminar with experts—Each week your GriefShare group will watch a video seminar featuring top experts on grief and recovery subjects. These videos are produced in an interesting television magazine format featuring expert interviews, real-life case studies, dramatic reenactments, and on-location video. Support group discussion with focus—After viewing the video, you and the other group members will spend time as a support group, discussing what was presented in that week’s video seminar and what is going on in your lives. Personal study and reflection—During the week you will have the opportunity to use your workbook for further personal study of the grieving process and to help sort out your emotions through journaling. Your group will spend time discussing questions and comments from the workbook study. 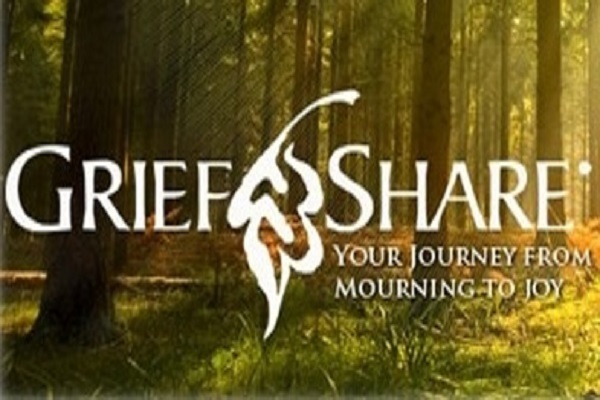 If you are interested in the participating in the next session of GriefShare, please contact the church office.